In the sixties, Sandy Grant Gordon, great grandson of Glenfiddich’s founder William Grant, made the bold decision to promote Glenfiddich Straight Malt beyond Scotland and to America to conquer the land of blended whisky. It was a decision that changed the whisky world forever. To hallmark this maverick spirit, the Glenfiddich Malt Master, Brian Kinsman, has delved into the family’s unrivalled collection of aged whiskies, researching into flavours predominately used from the 1960s to recreate and honour the 1963 Glenfiddich Straight Malt. While most whiskies today mature in oak, sherry casks were more prominent in 1963. The aroma is floral with the hallmark Glenfiddich pear, followed by lively fruit notes. 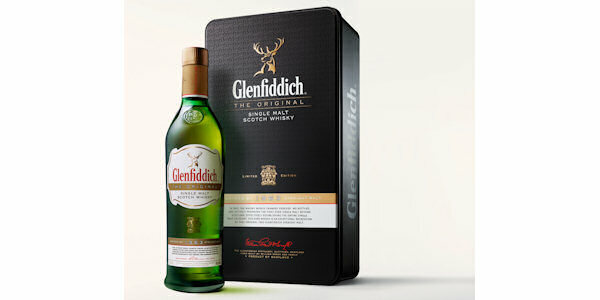 Glenfiddich The Original is biscuity with a soft vanilla oakiness and deliciously dry finish. The result, then and now, is a spirit contrasting many of Glenfiddich’s other expressions. Glenfiddich The Original will be available from selected whisky specialists from October 2015. RRP £85, 70CL, 40% ABV.